Bobbi Brown's Lunar New Year Collection features their Lucky in Luxe range. The Lunar New Year is quickly approaching (February 5th 2019) and what better way to welcome The Year of the Pig with an amazing cosmetic range. 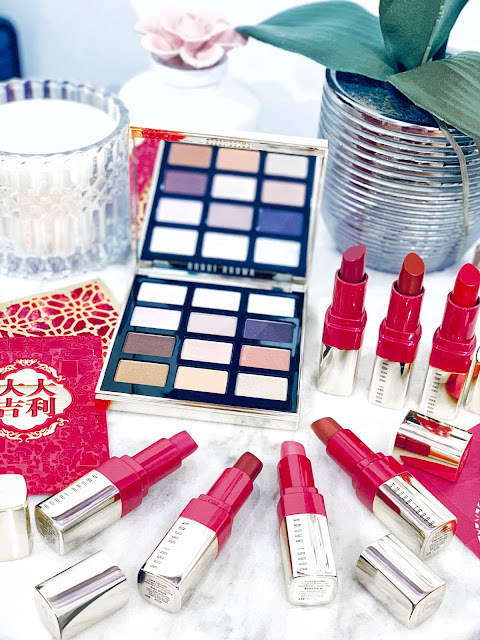 Get your hands on Bobbi Brown's latest Lunar New Year Collection: Lucky in Luxe which features a range of eight limited edition Luxe Lip Colors as well as the Crystal Drama Eye Palette (which I highly recommend if you love your pastels and warm/cool tones). Also, you cannot go wrong with their luxury and durable packaging. It feels of quality when it comes to the Bobbi Brown range and you simply can't go wrong with them. This beautiful eyeshadow palette contains a mix of 12 ethereal and warm/cool toned shades which is perfect for a day or night look. The shades are actually inspired by energy enhancing powers such as amethyst, rose quartz, citrine and moonstone. There are endless looks you can look to create with this palette as it's made for everyday and night wear. The shades aren't too dramatic looking which is great if you're after a natural look. Personally, I would 100% wear these shades as it's suitable for any occasion. Also, the eyeshadows are highly pigmented and give of excellent colour pay-off - you literally can't go wrong with the quality. The shades range from soft-matte, shimmery, glittery and metallic which are great for creating 3D and elegant looks. 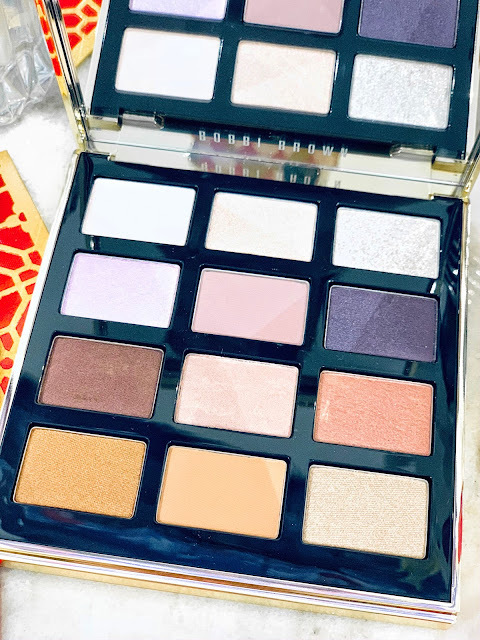 This palette will not disappoint as everything about its packaging and eyeshadows have been carefully curated to bring you a luxe range. I'm loving their limited edition red and gold theme which is perfect for welcoming the Year of the Pig (Lunar New Year). 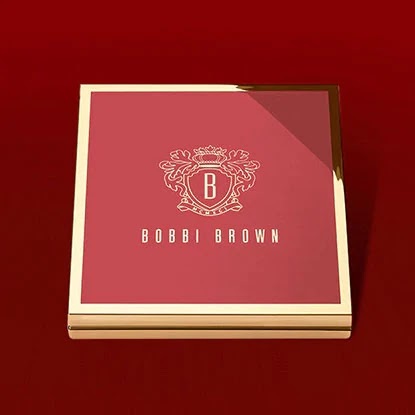 These luxury looking lipsticks by Bobbi Brown are their latest limited editions for this season. They're very soft, nourishing and add a hint of shine for the lips. The shine is what adds a little dimension for the lips which is perfect for a day or night look. There are 8 festive shades available from the Luxe Lip Color range which includes tan, brown, red and pink tones. Also, these lipsticks offer treatment benefits such as reducing the appearance of fine lines as well as leaving the lips feeling well conditioned and nourished. (It's amazing to see a lipstick that provides superior colour and moisture to the lips). As for its colour pay-off, it offers intense colour within just one swipe which means that it's very pigmented and rich. The lipsticks glide on very easily on the lips - and there are no signs of drying/flaking on the lips which is perfect for those wanting colour and moisture for the lips. 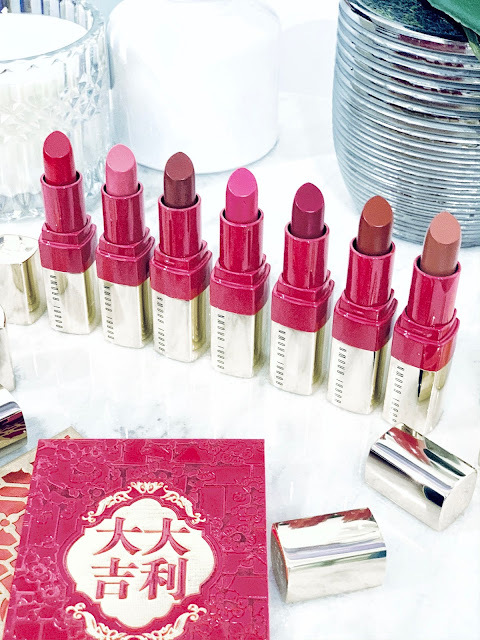 Furthermore, the gold lipstick packaging is incredibly sleek and luxury and what better to welcome the Lunar New Year with its gold and red limited edition theme. (Definitely a must if you love collecting Bobbi Brown's limited edition products). The new limited edition shades include: Afternoon Tea, New York Sunset, SoHo Sizzle and Manhattan Sunrise. Who is excited for the Lucky in Luxe range by Bobbi Brown?